Xbox Live, is there anything it can’t do? From playing online with friends from across the world to offering game addons, music and movie purchases, even complete titles for download. Unfortunately, all this great content and these amazing features do not come for free. In order to get the most out of your Xbox Live experience, chances are you’re going to have to jump the hurdle of entering an Xbox Live code. These 25-digit-monsters are the guardians you’ll have to overcome before you can truly enjoy everything that Xbox Live has to offer. 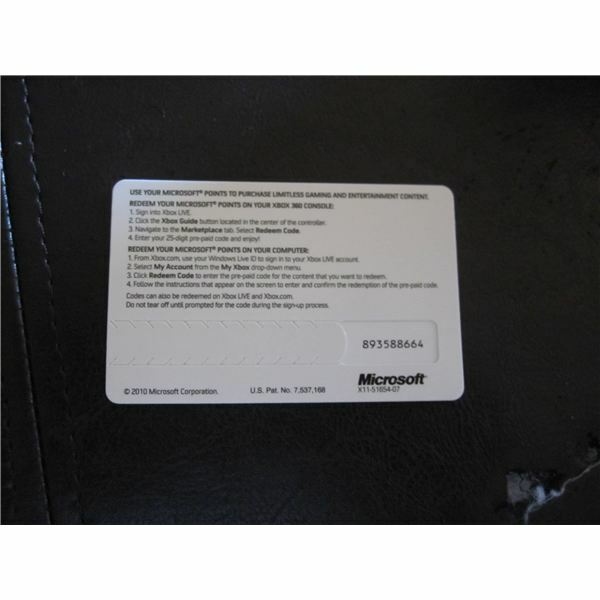 The process of entering these codes isn’t quite as streamlined or simple as some of the other features of Microsoft’s online service, but our step-by-step guide is here to walk you through the process from signing into your profile to downloading whatever content your code unlocks. All Xbox Live codes, those for renewing your service, downloading a pre-order bonus, or those which apply Microsoft Points to your account, are redeemed in the same manner. If you have a 25-digit code, you only need to know one method for redeeming it, regardless of the type of content it unlocks. The very first step is getting everything ready to go. 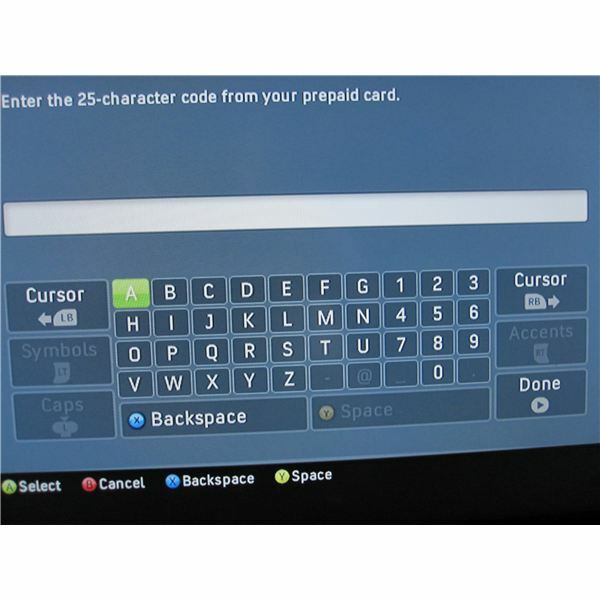 Have your code handy when you fire up your Xbox 360, and make sure you take a second to remove the paper tab or scratch off the material covering your code. If your code is on a receipt (an increasingly-popular delivery method) you might want to highlight or underline it before you get started. Locate your code on the card or receipt. Power on your Xbox 360. Sign in to your Xbox Live Profile (automatic on most systems, unless you share an Xbox with someone. If you share, make sure you’re redeeming the code on the right account). From the main screen, hit the Guide Button (the big silver one in the middle) on your Xbox 360 Controller. 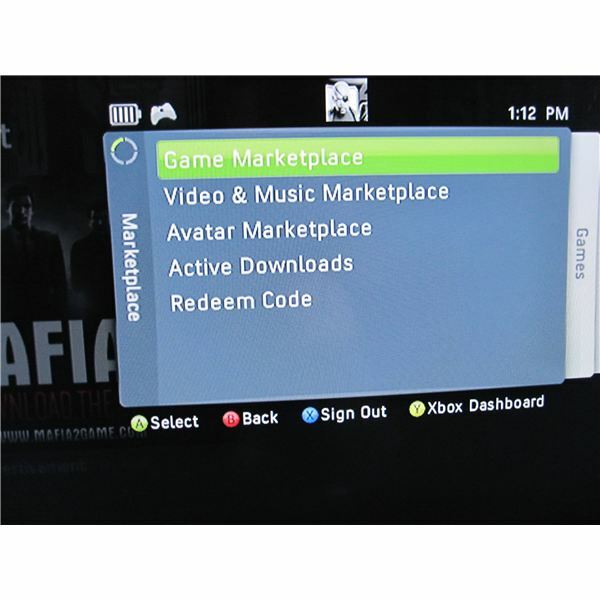 Use the left thumbstick or d-pad to move left to the “Marketplace” tab. The code entry screen will pop up, along with the on-screen keyboard. Enter your 25 digit code (the dashes will be entered automatically). Codes are not case sensitive so don’t worry about upper or lowercase. Once the code is entered, double-check to make sure it’s correct, then hit the start button to continue. If your code is entered incorrectly, you’ll be given a chance to make individual corrections without re-entering the whole thing. If your code is correct, the redemption screen will appear. Select “Redeem Now” to confirm your redemption. If you’re downloading content, you’ll be presented with a download screen. Select “Continue” to allow the download to run in the background and go back to the main menu. If you’re adding points or subscription time to your account, you’ll see a message confirming that you have done so. Press “Okay” to continue. That’s it, you’re done! Congratulations, and enjoy your Xbox Live purchase. For more great Xbox 360 info, check out our guide to Xbox 360 Data Transfers.